This is one of the most important rules of the road. In many states, it’s also against the law not to be buckled up. Police officers can charge offenders through primary enforcement or secondary enforcement. Primary enforcement means that the officer can stop a driver and give him/her a ticket if he/she observes that a seatbelt is not being worn. Secondary seat belt enforcement means that an officer is only allowed to stop and ticket a driver if the driver has committed another infraction (such as running a red light/stop sign or speeding). If you’re driving with a young child, be aware that there are unique child restraint laws for each state. New Hampshire is the only state in which drivers can legal operate a vehicle without buckling up. If your car is neat, you’ll be less likely to “dig” through its contents to find your MP3 player, map, or other needed item, and if it’s in good working order, something is less likely to go wrong while you’re driving. For example, be sure to keep your windshields and windows clean and your windshield wipers working properly for optimal road viewing, and make sure your brakes are adjusted and tires properly inflated to avoid loss of control on the roadway. You should also check that your lights are working properly for maximum night and inclement weather visibility. 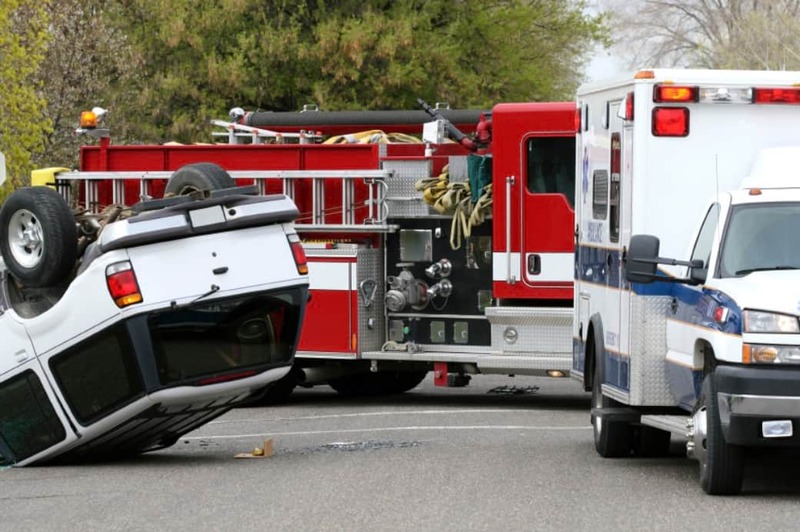 Many drivers’ first instinct when they begin to hydroplane due to wet, snowy, or dirt roads is to swerve back onto the road as fast as possible, but if you do this, you put yourself at high risk of rollover. Instead, you should carefully turn the steering wheel so that your vehicle is traveling straight and gradually slow down. After doing this, ease over to the side of the road and stop safely until you are mentally prepared to begin your journey again. If you do have to swerve in the event of an animal or unseen pedestrian, first turn the steering wheel and then apply the brakes to avoid the chance of a rollover. It doesn’t matter how slowly traffic is moving. If you’re tailgating another vehicle, you’re placing yourself and your passengers at risk for a collision. Try to keep at least two seconds of following distance between your vehicle and the vehicle in front of you. This guarantees you will be able to stop in time if the driver ahead must “slam” on his/her brakes. From checking the latest Facebook status updates on your smart phone to adjusting your GPS route, distracted driving is never a safe choice. If you must make a phone call, eat a snack, or read map/GPS directions, pull over to the side of the road to do so. Too many accidents are caused by drivers who are simply not paying attention- even for a few seconds. Weather is a huge factor in many automobile accidents. If you can avoid driving in bad weather, do so. If you must drive, be sure your windshield wipers are working properly and that you use them during times of rain or snow. In cold weather, you should always defrost your windshield completely before hitting the road, even if you are short on time. Reduced visibility is a huge factor in vehicle collisions. If you must drive in the snow and live in a cold weather climate, purchasing all-season or snow tires is a smart choice. You should also drive slowly and carefully, use your brakes and gas pedal gently, and maintain a larger stopping distance than you normally would.
. This one should be a no brainer. Drinking and driving and using drugs while driving can easily become a deadly situation and can lead to receiving a DUI, which can result in loss or suspension of your license or jail time. Always choose a designated driver or make plans to take a taxi home after a party. There are extremely strict regulations for teenage drivers who drink or use drugs, so you should avoid doing so at all costs.
. Always use your turn signals, even if no other drivers appear to be around. When driving on the highway, signal a few seconds before you change lanes to give other drivers the opportunity to provide space for your vehicle. Be especially careful when using exit ramps. Be on the lookout for probable road crashes and accidents, and take note of all of your surroundings and act accordingly. Driving defensively also means not defending your driving position. You should always be courteous to other drivers and let them pass you if they are trying to do so. Do not try to hold your own place in traffic. Consider the fact that the other driver may be in a bigger hurry than you are and could be a danger to you and other drivers. It’s best to let them get away from you- not to stick closer to them! Not only can you earn a speeding ticket if you’re going too fast; you can put yourself at risk for an accident as well. Even if every other vehicle around you is breaking the speed limit, you should follow it. There are always hidden police officers lurking in hideaways to catch speeders-even if they are “following the flow of traffic.” Be especially aware of speed limit changes in cities when traveling on highways. In urban areas, speed limits can decrease rapidly, and it’s often easy to stay at the same pace you’ve been going.